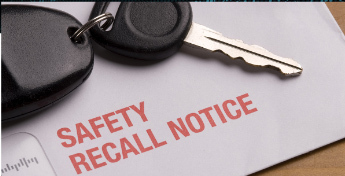 PARS, the leader in fleet vehicle transport and logistics, announced a new Open Safety Recall Check service. The new complimentary feature, based on a real-time feed of open safety recall data from NHTSA’s safercar.gov database, protects drivers and clients from potential safety and liability issues resulting from recalls. According to PARS president Lori Rasmussen, PARS will initiate a check for open safety recalls after the submission of each order: “If any open safety recalls are found, you receive immediate notice, and the order is placed on “Hold” until we obtain the client’s guidance.” PARS fleet clients can have the company attempt to address a recall prior to delivery if the remedy and parts are available. Other alternatives include having PARS store the vehicle until a remedy and parts become available, or authorizing delivery of the vehicle as is. Rasmussen added, “This new Open Safety Recall Check service demonstrates our company’s continuing investment in vehicle transport and logistics technology as well as our continuing commitment to delivering the industry’s highest level of customer service.